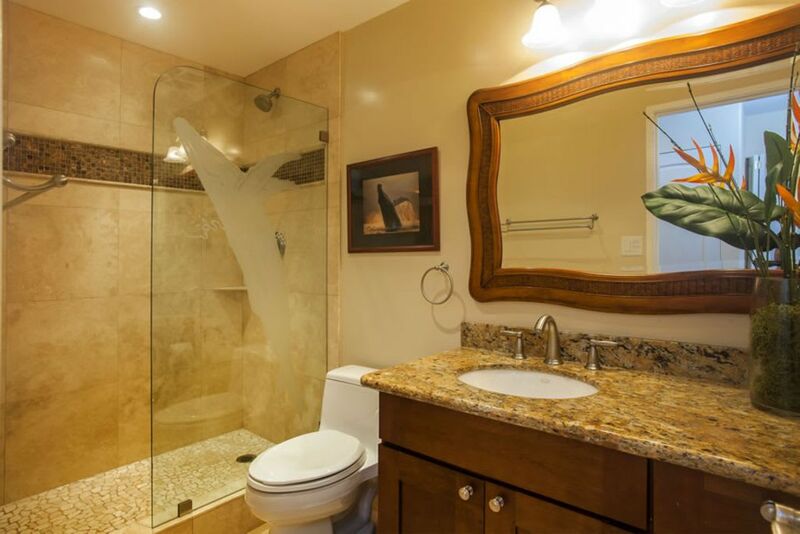 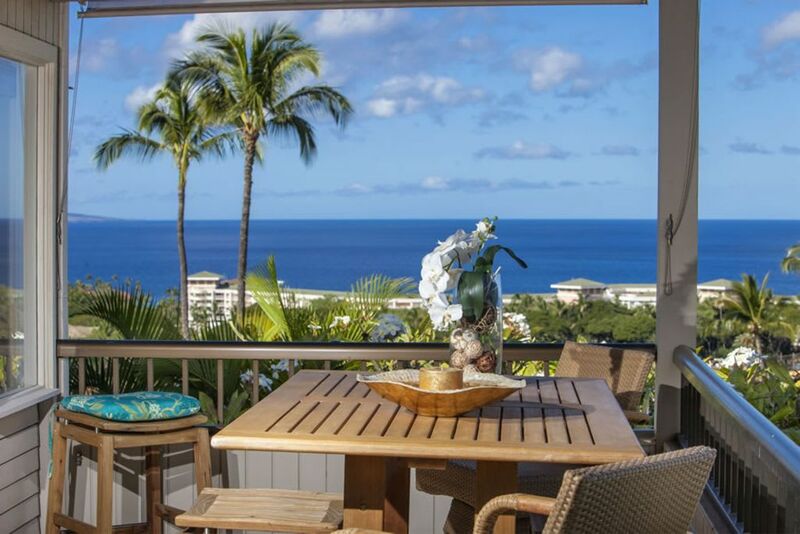 This renovated spacious two-level unit has a stunning 180 degree view of the Ocean and is a 10 to 15 minute walk to world-class beaches, shops, restaurants, golf and tennis. 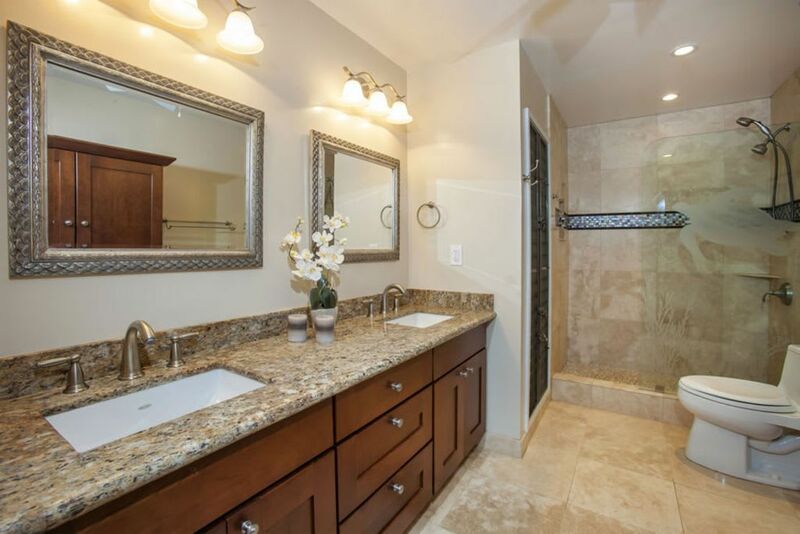 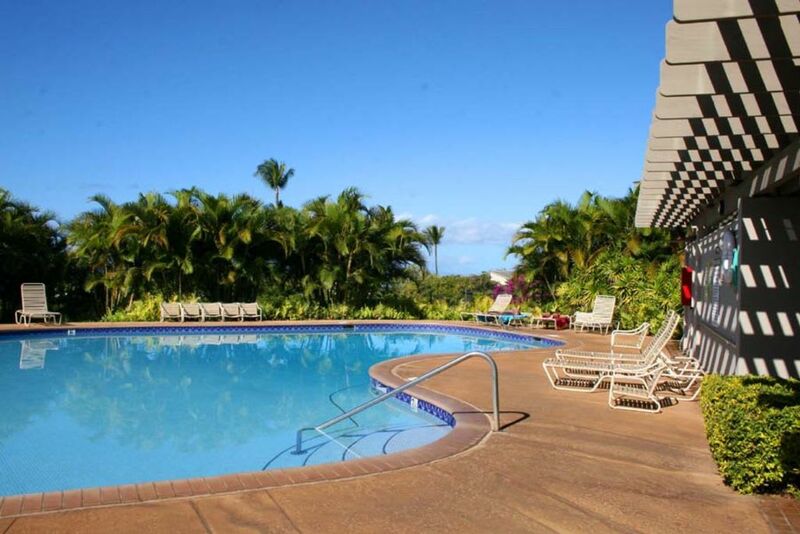 The unit is close to the pool and in one of the more secluded spots in the complex. 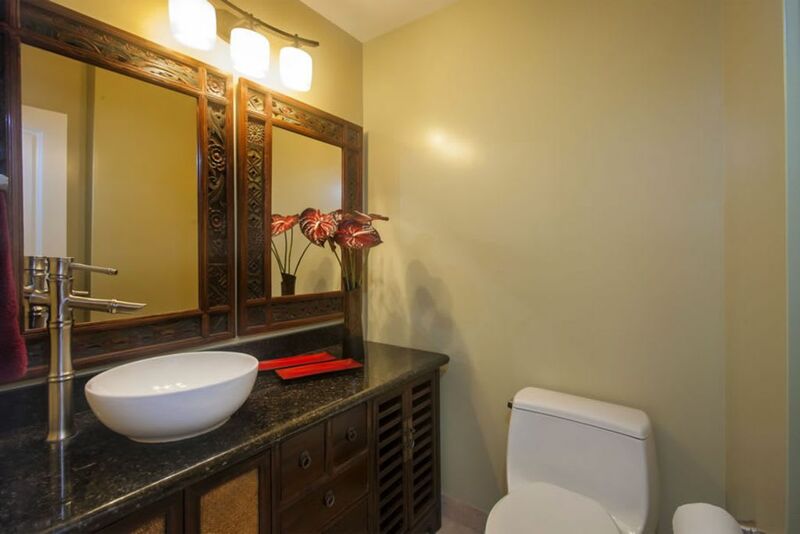 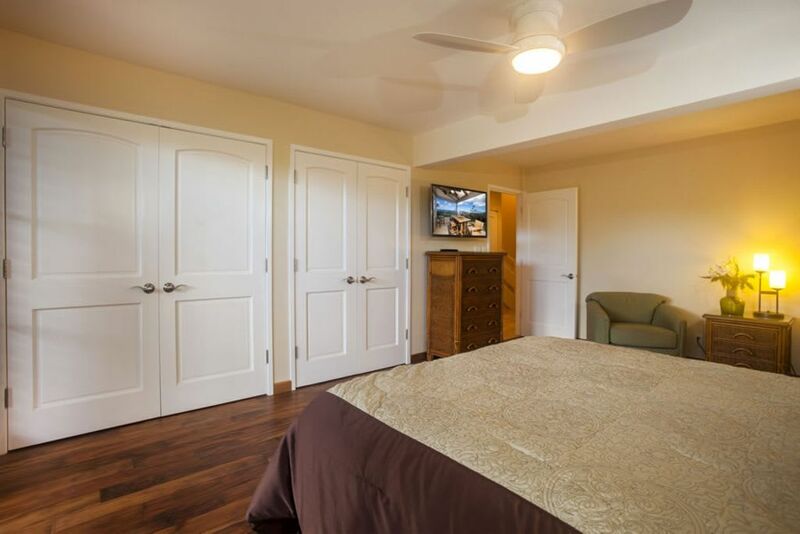 Each bedroom has its own bathroom and the mini-split air conditioning is quiet and efficient. 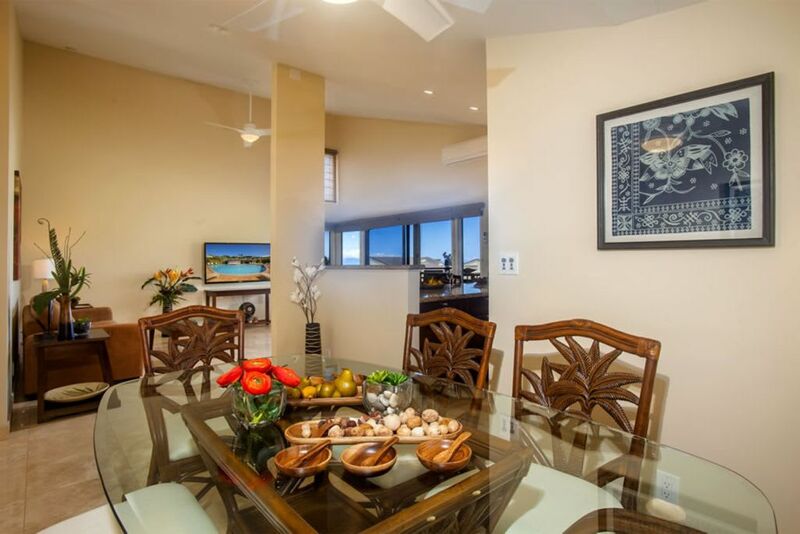 The unit's 1500 square feet provides room for adults and children to spread out or gather together in a great room off the kitchen to enjoy the panoramic views. 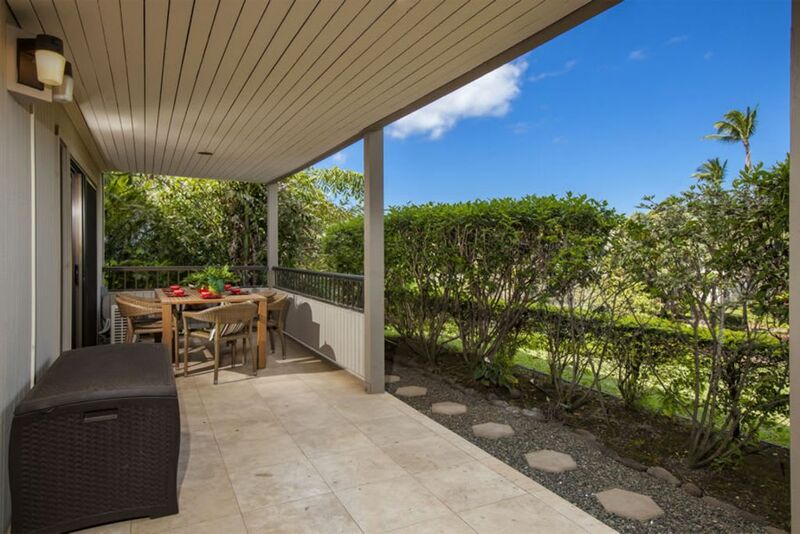 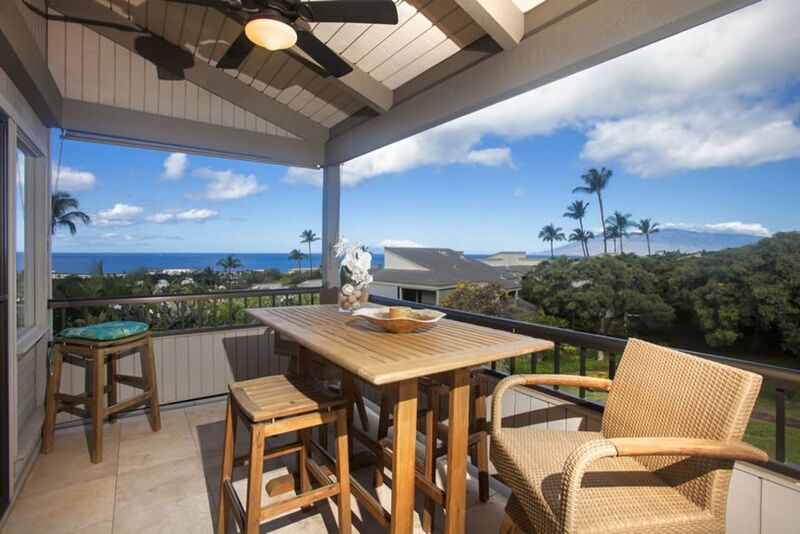 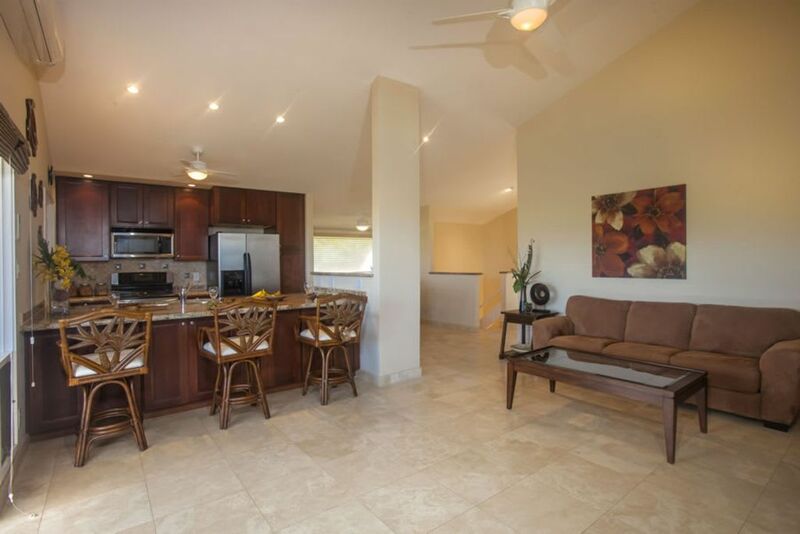 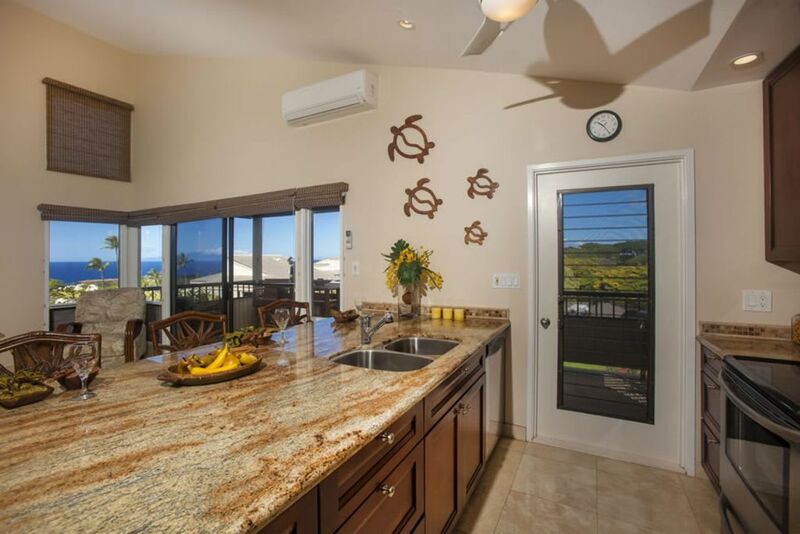 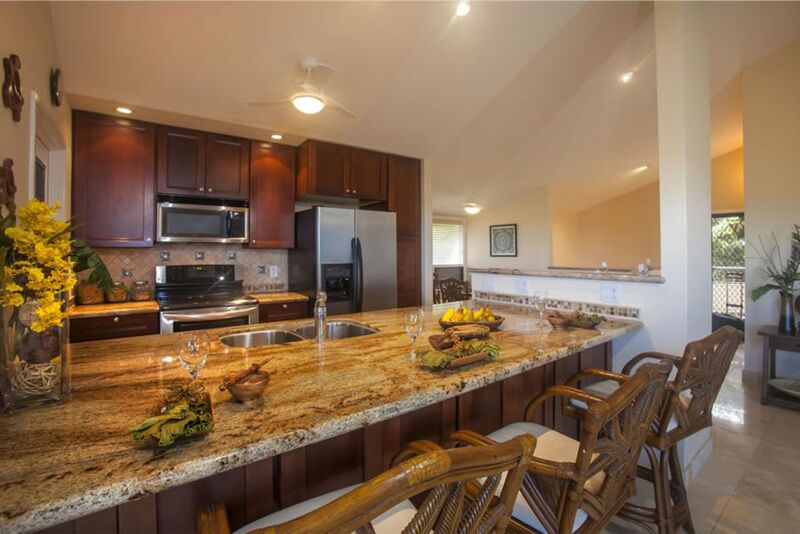 The large lanai has a teak dining table to enjoy meals or drinks at sunset. 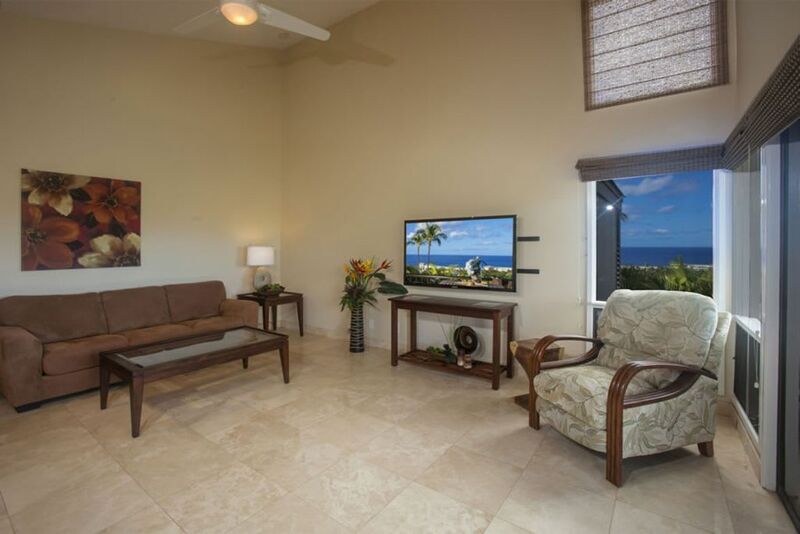 There is cable tv, internet and wifi throughout. 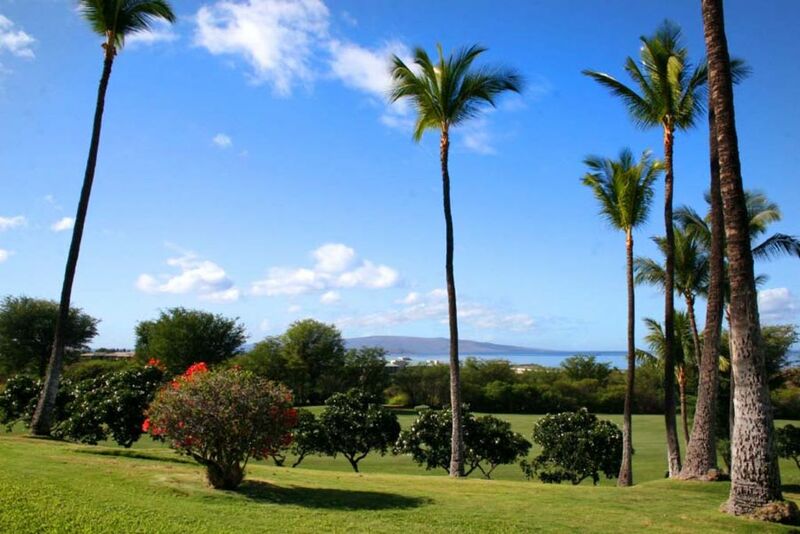 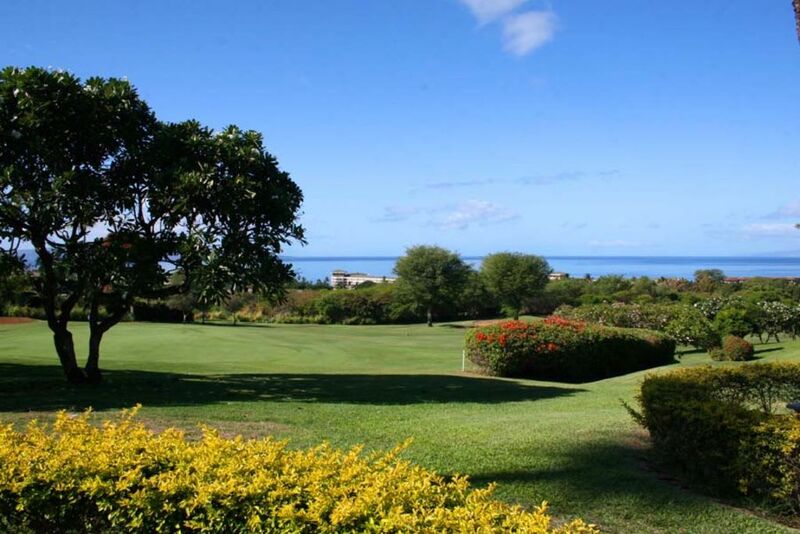 Wailea Ekolu Village is a tranquil terraced property located on the Wailea Blue Golf Course offering distant panoramic views of the Pacific. 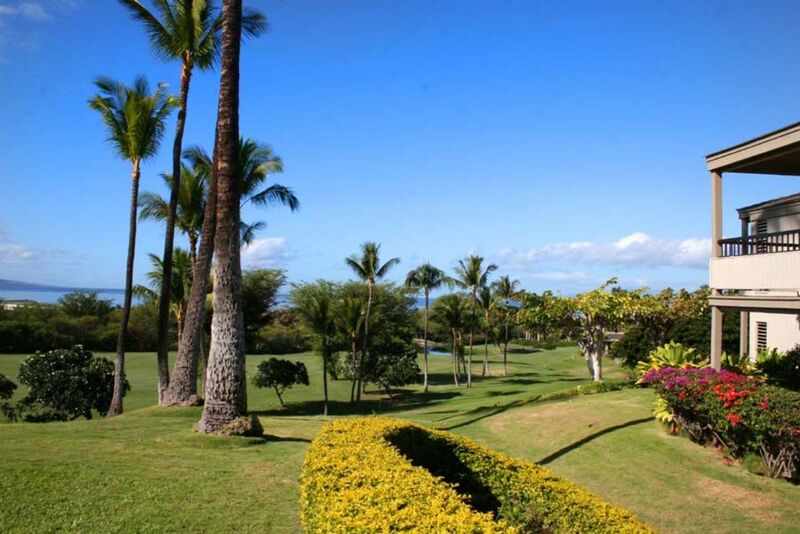 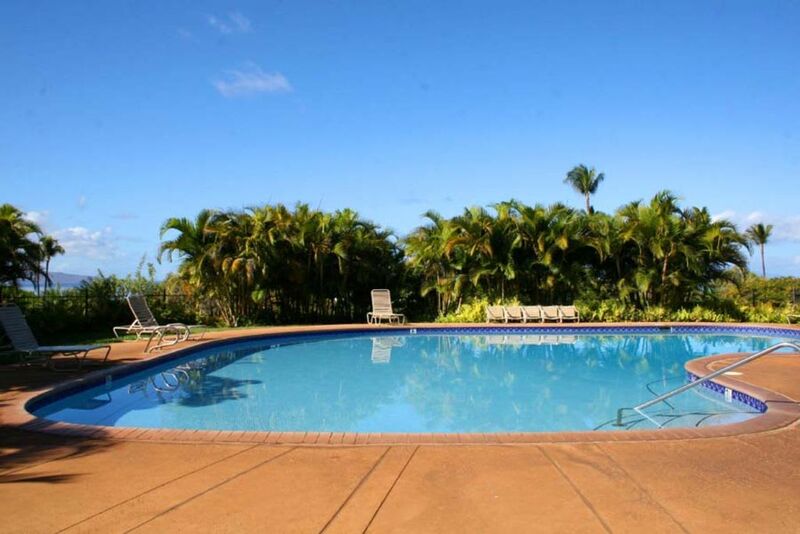 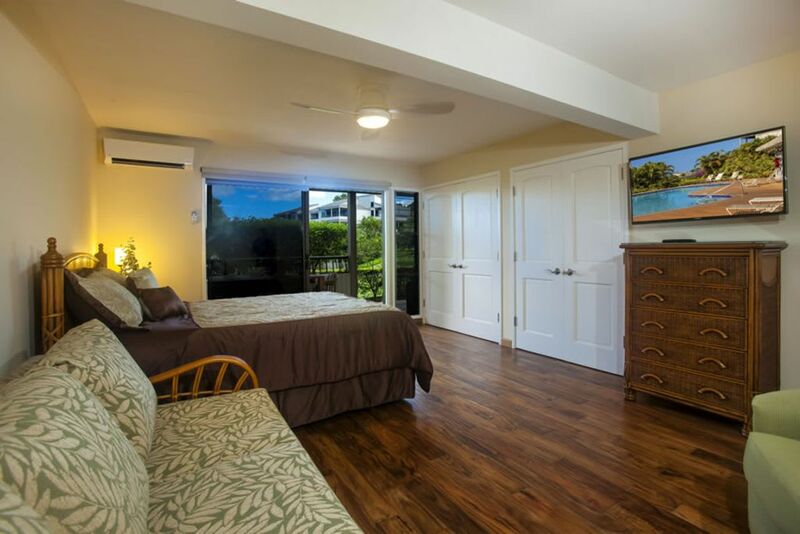 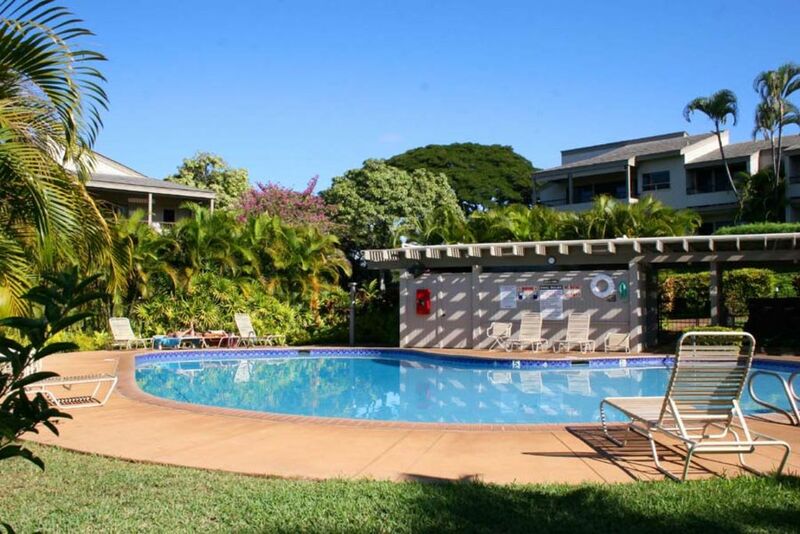 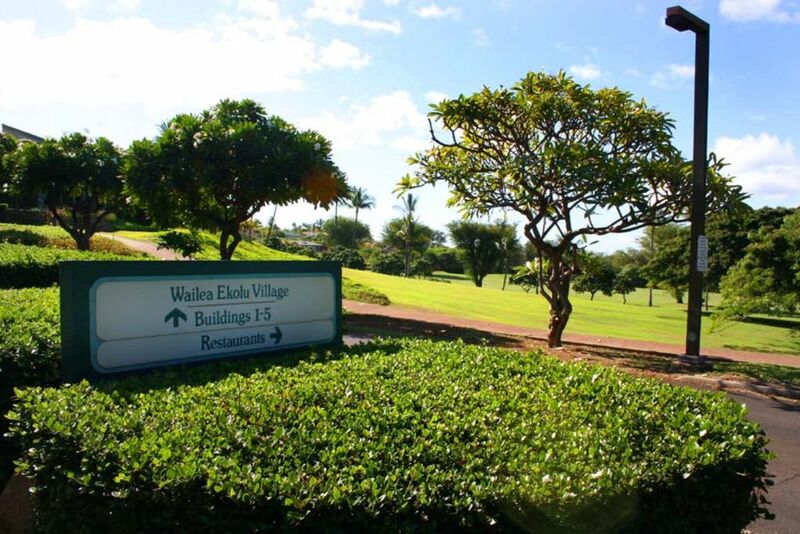 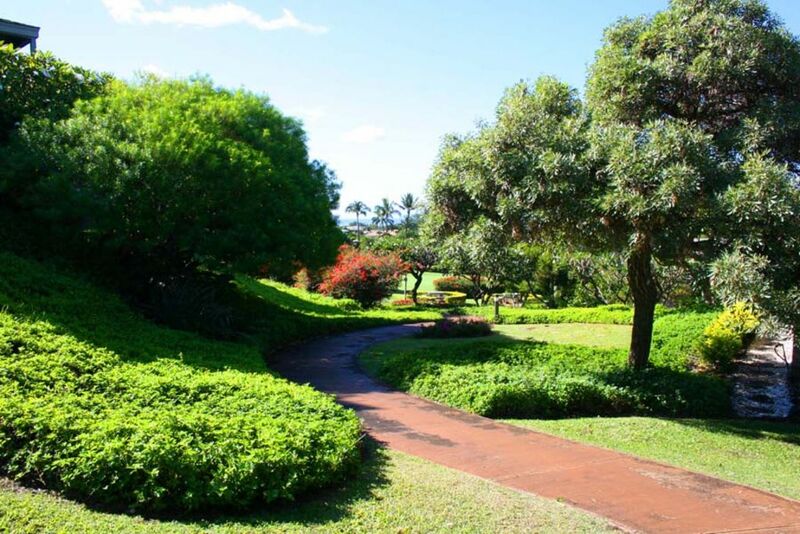 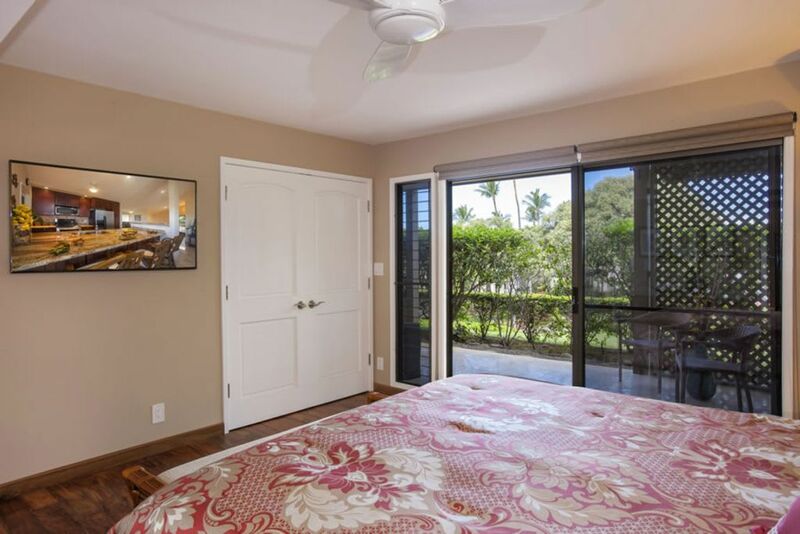 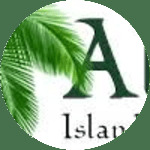 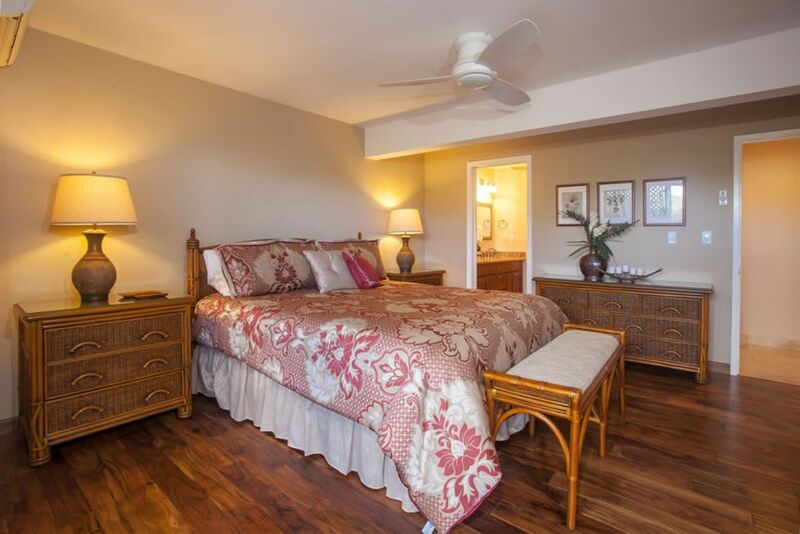 This quiet low density village consists of eighteen two-story buildings spread out over 18 acres of tropical landscaping and is conveniently located across from the Wailea Tennis Center and a short walk to the renowned 'Shops at Wailea'. 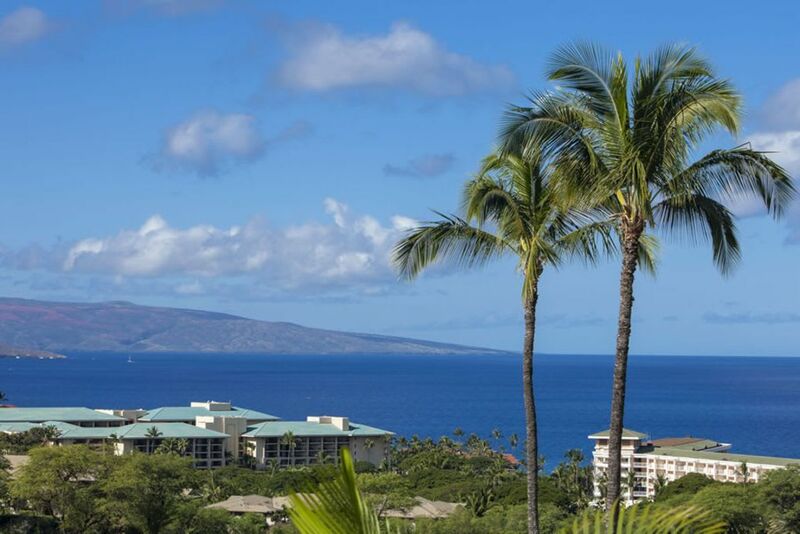 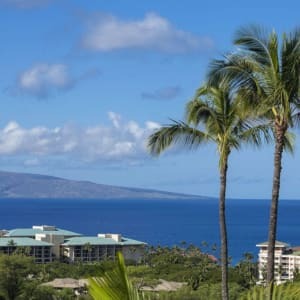 The famous Wailea beaches fronting this resort community are exceptional for sunsets, swimming, sunning, seasonal whale watching.